I recently was contacted by the team of Scarlett & Jo for Evans about doing a review. 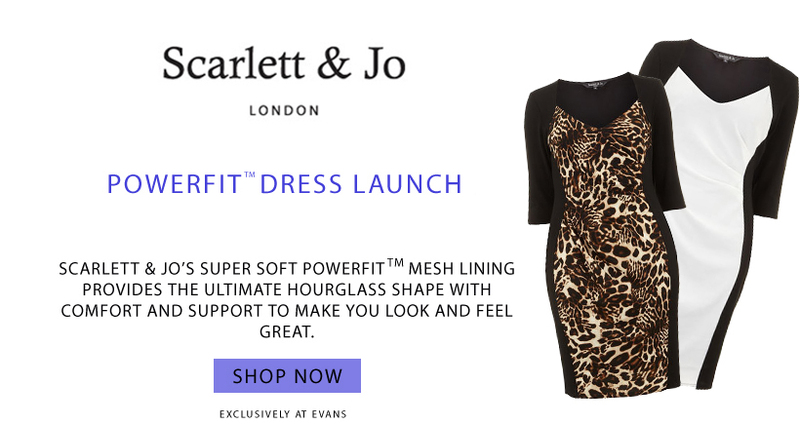 I decided to choose the SCARLETT & JO CREAM CONTRAST POWERFIT DRESS as my review pick. I went for the cream and black color because that is so on trend at the moment. Plus, a girl can never go wrong in a great illusion dress. The dress features super soft Toulouse lining to enhance the shape and provide comfort all for the generous price of only $69.50. 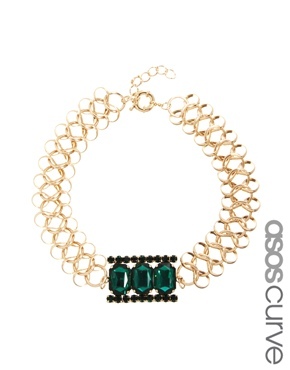 With the deep v-neckline of the dress I decided to go for a statement piece by adding this Gem Clasp Chain Necklace from Asos Curve. The necklace has an emerald green centerpiece that rivals that of any expensive designer jewels but with a low price tag of only $53.39. (Plus checkout the matching ring and bracelet). I’m featured wearing the dress in this month’s issue of Skorch Magazine (although I took the pics with my old hairstyle last month). Check me out on page 87.